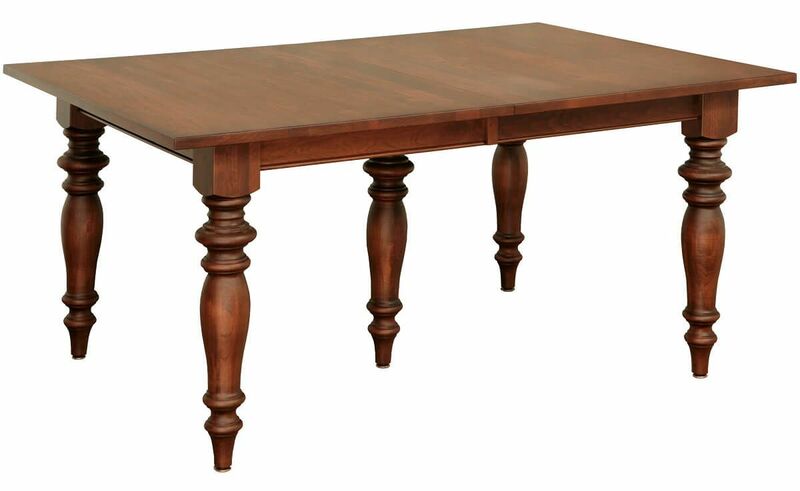 Standing atop ornate turned legs, our Amish Brianne Leg Dining Table is the perfect addition to your hardwood dining room or kitchen furniture collection. Perfect for serving up family brunches or gathering friends for intimate dinner parties, this classic table is the perfect anchor for your traditional dining room ensemble. Expansion potential and beautiful style make our Brianne Leg Dining Table suitable for any home. Your chosen hardwood and stain combination allow you to match or contrast this piece with existing furnishings. 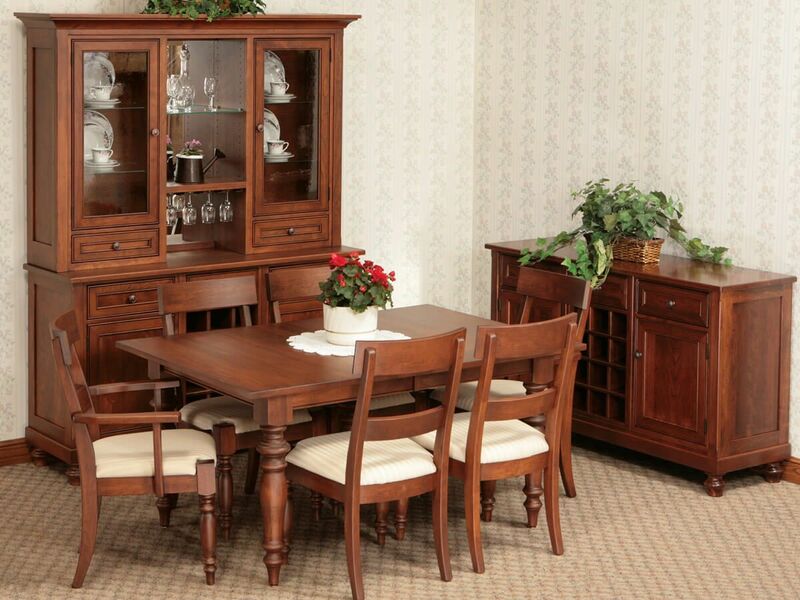 Expert craftsmen will build your dining room table to order based on your personal style preferences. For the pictured look, consider Cherry hand-stained in our Madison Ways wood finish. While the Brianne Leg Dining Table is available in four base sizes, the option to add four extension leaves is available in any size. Indicate your preferences on our online Create Your Piece menu to get started. *Base sizes do not include leaves. Each leaf adds 12". **Floor to apron clearance is 26 3/4"H.